Enjoy your visit to our Angel Animals website. Do animals have Souls? Absolutely! Many NDE'ers have said they have seen their pets on the other side, while others have reported they have gotten messages or warnings from beyond by their pet. Author Linda Anderson has dedicated decades to collecting stories from around the world about the spiritual connection between humans and their pets. on the topic of "Animals and the Afterlife". We are thrilled to announce that the new book we co-authored with Robin Ganzert, PhD, president and CEO of American Humane Association. 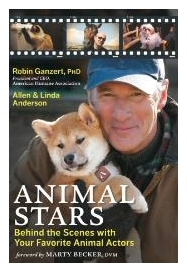 ANIMAL STARS: Behind the Scenes with Your Favorite Animal Actors is being published by New World Library. 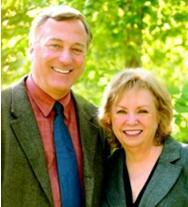 Visit the website, view the book trailer, and get details at www.animalstarsbook.com. Animal Stars includes fascinating true stories from world-class animal trainers who train dogs, cats, horses, bears, birds, and a wide variety of animals to star in movies, television, and commercials. It's truly a behind-the scenes look at how animals are trained, cared for, loved, and protected. While being entertaining and full of juicy secrets, the book also provides readers with vital information for how to train and keep their own pets safe and happy. Writing the book and getting to know Robin and more about American Humane Association's outstanding mission of advocating for animals in film and television has been a highlight for us. "Every movie fan who loves to see animals in their favorite movies will want to read Animal Stars. The book contains lots of animal-training tips, along with the behind-the-scenes stories." A Dog Named Leaf is an inspiring healing journey of comrades facing the ultimate battle. This man and this dog are there for each other at exactly the right time for miracles to occur. 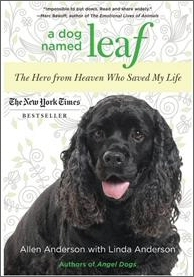 The New York Times bestselling memoir, A Dog Named Leaf is the true story of a paradigm shift. We "crazy" dog lovers (you know who you are) have waited for someone to reveal what happens in our homes every day. One reviewer wrote, "This is about how a dog with great love actually entered the inner reality of his friend to help save him and was able to succeed where human explanations and efforts failed." "Impossible to put down. Read and share widely." The American Society of Journalist and Authors (ASJA) has selected A Dog Named Leaf by Minnesota authors Allen Anderson with Linda Anderson (Globe Pequot/Lyons Press) as one of the winners of the prestigious ASJA Awards in the Lifestyle/Memoir category. Angel Animals activities include fund raisers for non-profit animal organizations, book events, and speaking engagements. This man and this dog are there for each other at exactly the right time for miracles to occur. Saying Goodbye to Your Angel Animals is a website devoted to helping you remember, mourn, and honor your beloved pet. This book features some very special canines and the women who walk beside them to fulfill missions, work, and dream. To subscribe to the Angel Animals Story of the Week newsletter send a blank e-mail message to angelanimals-on@mail-list.com. Think of the Pet Friendly Survey as your chance to share what goods, services, products, and attitudes would best support you as a person who views pets as family members. Take the fun-and-games Pet Personality Quiz and learn what your choice of pets says about you. "Angel animals teach by their example how to work for a greater good. With their ability and willingness to serve and give, they demonstrate the spiritual qualities that inspire people to become better human beings than they ever thought they could be. Perhaps angel animals show how to respond to a greater calling and help someone who needs it." "Anatole France said, 'Until one has loved an animal, a part of one's soul remains unawakened.' We agree with that statement. And we heartily invite you to join us in exploring the world of Angel Animals." Angel Animals™ Network Copyright © 2002-2016. All rights reserved. No part may be used without permission. The term Angel Animals ™ is a trademark term.